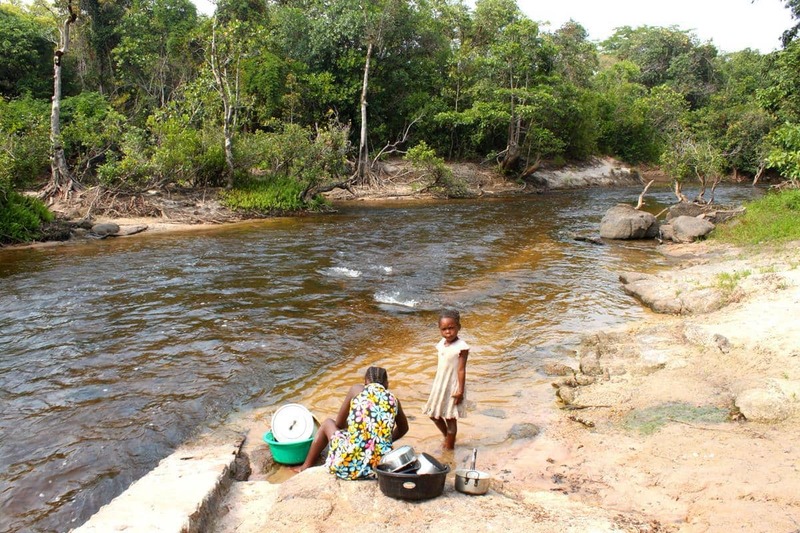 Our first stop was the Kapishya Hot Springs Lodge where we camped close the Mansa River. The lodge has a beautiful, lush garden with excellent facilities and the hot spring is located on the property. Gallons of clear, sulphur-free water bubble out at a temperature around 39 degrees Celsius. 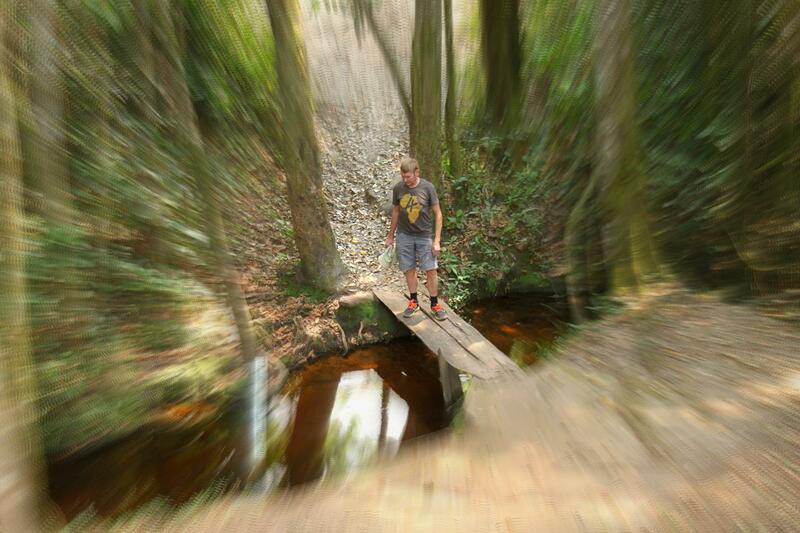 The owner, Mark Harvey, built a weir below the spring to form a shallow pool which is surrounded by lush trees. It was enjoyable and peaceful to relax in the luke warm water whilst the birds sang in the trees. The water of the Kapishya Hot Spring is crystal clear with a tinge of turquoise. Mark is a descendant of Stewart Gore Brown who built Shiwa Nganda (Africa House) for his young English wife in the early 1900’s. Sadly she was never happy in his magnificent home or in Zambia. On our way to the Great North Road and then south- west, we stopped by the mansion to take a peep, as it can only be visited by appointment. 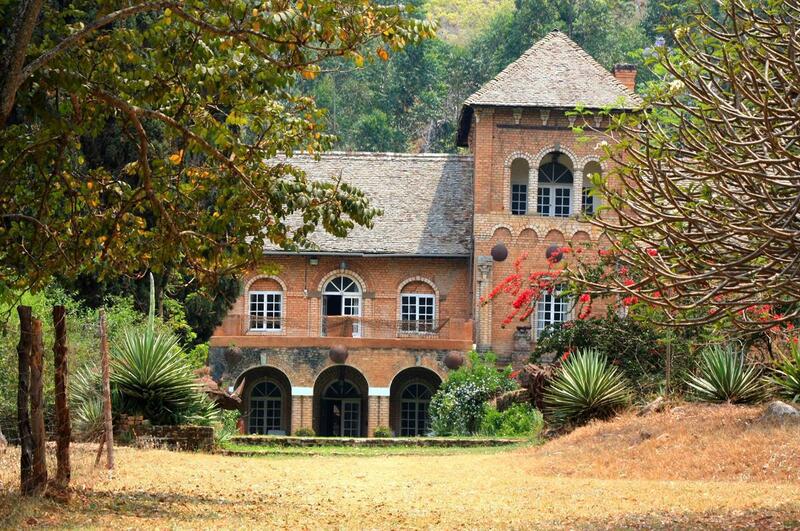 Shiwa Nganda was built by Stewart Gore Brown for his young English wife. 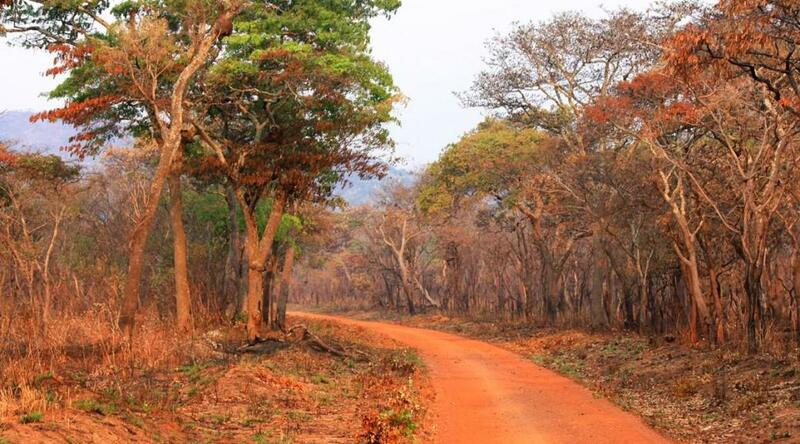 Driving the 11km from the Great North tar road into the Mutinondo Wilderness Area we were intrigued by the display of warm colours of the pristine Miombo Woodland. 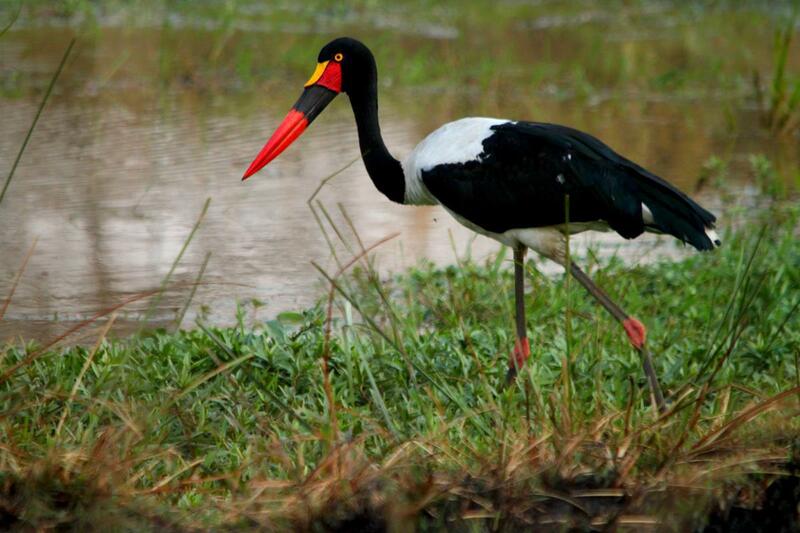 Mutinondo is quite a unique geographical area, covering 10 000 hectares and provides a habitat to over 1 000 plant and 324 bird species. There are over 50km of hiking/cycling trails, all maintained and signposted. 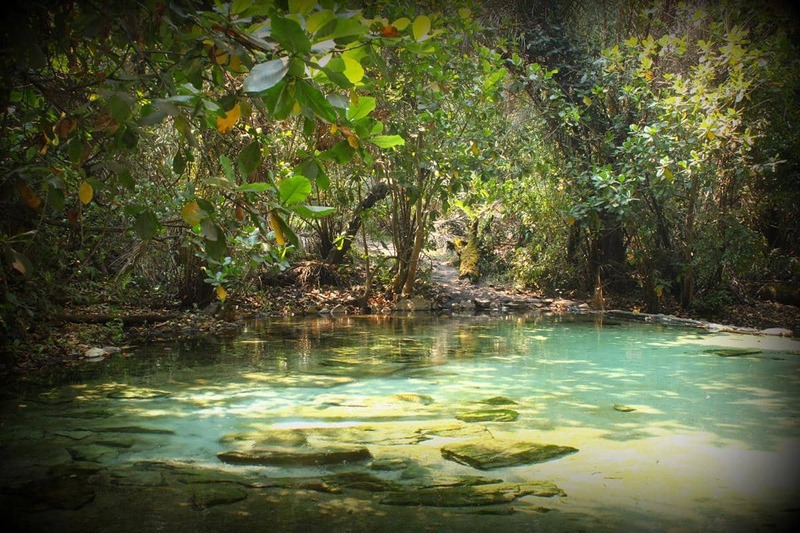 The paths meander at times next to the Musamfushi River, through Miombo and riverine forest to various waterfalls, pools and around gigantic black granite rock domes. We thoroughly enjoyed our two-day stay in the wilderness area, despite the heat, and explored some of the paths whilst on an 11km trail run. 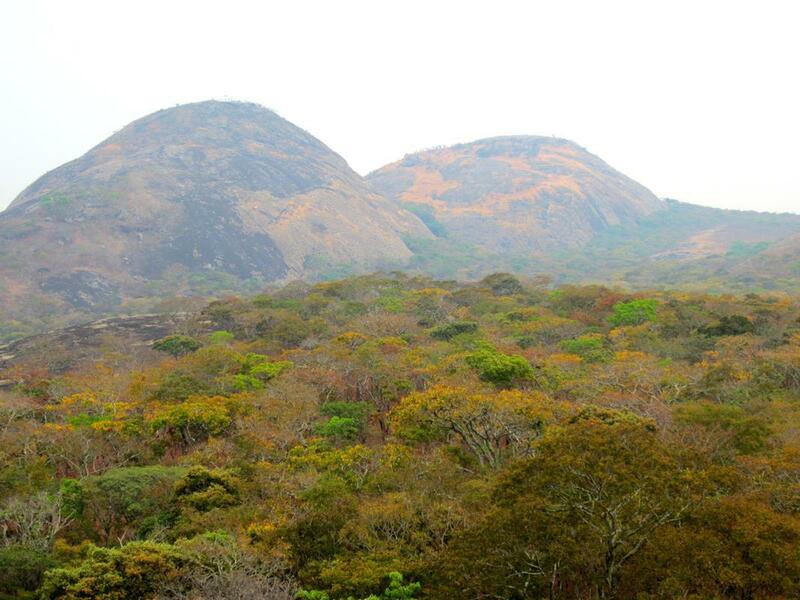 The warm colours of the Miombo woodland stands out against gigantic granite rock domes. After a quick stop in Lusaka to shop and have the Hilux serviced, we headed for Kafwala Rapids Camp in Kafue National Park. Kafwala recently opened this new campsite which is situated on the bank of the Kafue River, not far from the lodging camp. We spent a few blissful days with friends and family, most of the time game viewing by boat and fishing; catching enough bream for a fish braai. Isabella was extremely proud of her fish! In search of interesting routes, we chatted to David Findlay from Lusaka and Manfred Vachal, cartographer of the excellent Zambian map. Both advised us to follow our inclination and explore the north-west and west of Zambia. Thus we headed north on minor roads out of the park through more attractive vegetation and, upon stopping to view a small herd of elephant, a cow with young charged us. This elephant cow didn’t like us anywhere near her young. As the Zambezi River holds a certain magic for us both we decided to head towards the source of this majestic river. Bearing north-west towards Mwinilungu we first stopped at the Nyambwezu Falls which, with a drop of 20 metres, is the highest waterfall in the north-western province. We had planned on visiting a few more of the many falls in the region but realised that the end of a drought stricken dry season is not the ideal time for this. 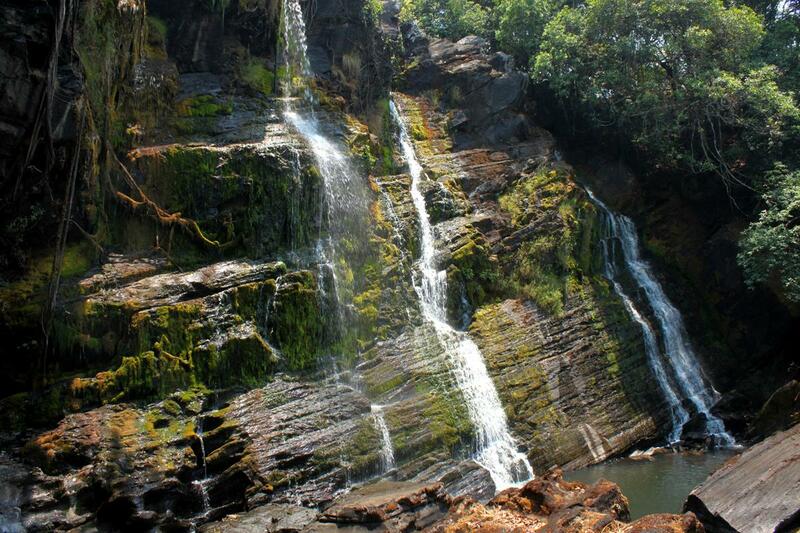 The Nyambwezu Falls must be quite spectacular when the river is in full flow. 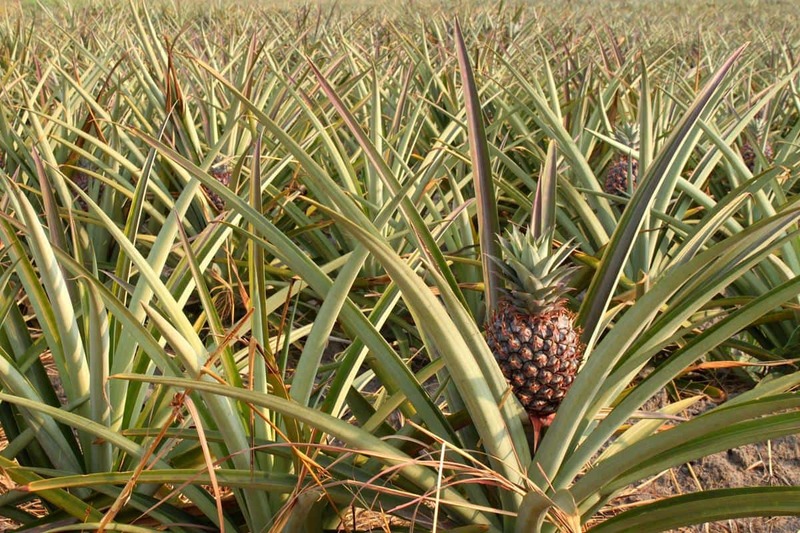 The north-west region of Zambia is pineapple country. We camped at Nchila Wildlife Reserve, a hunting safari lodge on Hillwood Farm owned by Peter Fisher; the campsite being located within a tall riverine forest. Peter, highly respected and involved in the local community, is the fifth generation Fisher to live and farm here. When the International Boundary Commission was marking up the local frontier area in 1907, his great great British grandfather objected to the farm being included into what was then the Belgian Congo. 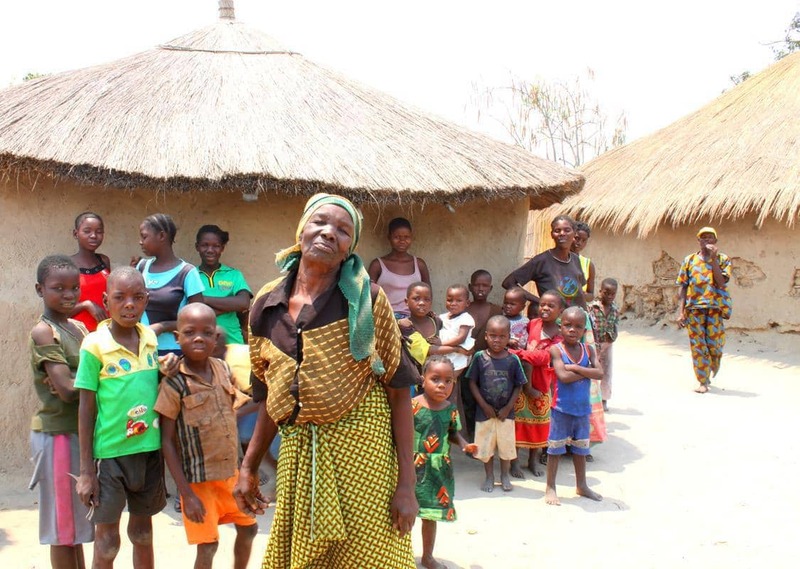 Thus his farm and the area around it in the north-western tip of Zambia protrude into what is today the Democratic Republic of the Congo, coincidentally ensuring that the source of the Zambezi River is on Zambian territory. The established source of the Zambezi is located just south of the original Fisher farm and has been proclaimed a National Monument Site. It is incredible that this mighty river, 2 574km long, flowing through Zambia, Angola, Namibia, Botswana and Zimbabwe before dispersing into the Indian Ocean via its enormous delta in Mozambique, starts as a little spring discharging water at around 30 litres per second. This spring appears insignificant, looking like a little puddle of water amongst the leaves. However, barely 3km from here it has formed into a stream about two metres wide. Pete crossing the Zambezi River, which is no more than a little stream 3km from the source. Even more astounding is that this stream increases so much in volume that it feeds a 33KV hydroelectric plant a mere 60km from its humble beginnings. We learnt that there is one more power generating plant (in northern Zambia) before the Kariba hydroelectric plant much further downstream in Zimbabwe and the Cahora Bassa hydroelectric plant in Mozambique. 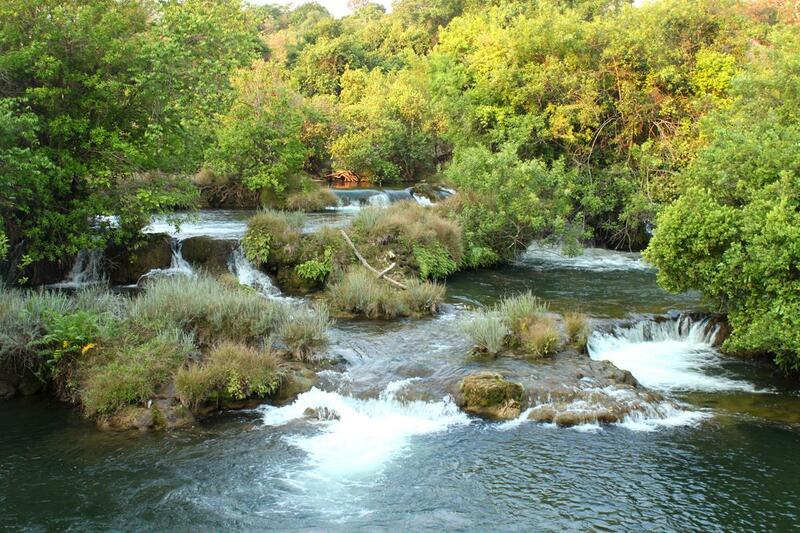 The Zambezi is a beautiful little river just down from the hydroelectric plant in northern Zambia. From Mwinilungu we wished to head south for Loloma, our options being to either complete a very long detour on tar to the east, south and then west again, or to drive directly south for 200km on what was reputed to be a very bad gravel road. The road initially lived up to its poor reputation. When we stopped for lunch Pete noticed that the right air lift suspension bag was flat and not providing any support. Efforts to re-inflate it failed. 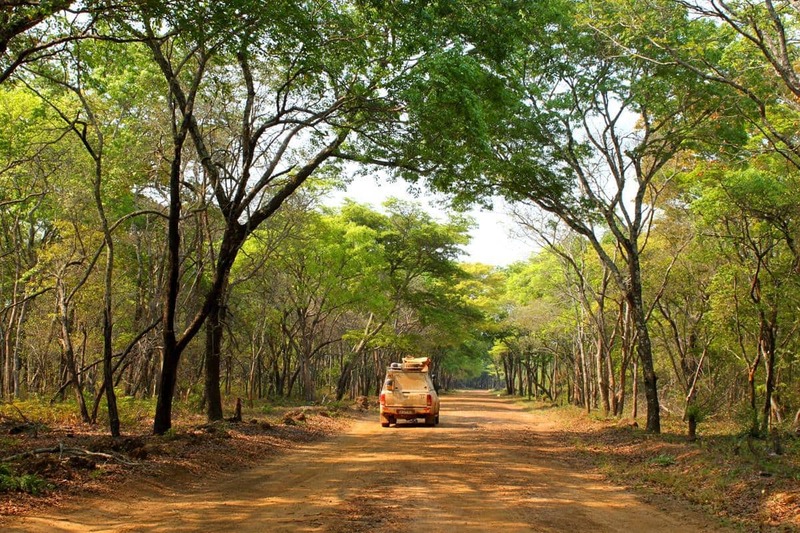 Favouring the right side of the vehicle over the rough patches, we pressed on and apart from a handful of small villages, it appeared that we were driving through a well wooded park. As progress was slow we decided not to try to push through to Loloma but rather find a nice spot to bush camp. We were very fortunate to find the one and only (unused) side track we had seen. We followed it for about half a kilometre until we came to a clearing in thick forest. There we set up camp and apart from a host of midges and other flies we had a peaceful evening, awakening to a tuneful variety of bird songs. As we had seen a few huge logs left on the side of the main gravel road and then passed a saw mill the next day we gathered that the sandy track we had used the night before was made by contractors harvesting the precious African hard wood. Looking at the map we realised that we passed through two Game Management Areas which perhaps explained the magnificent forest and Miombo woodland. 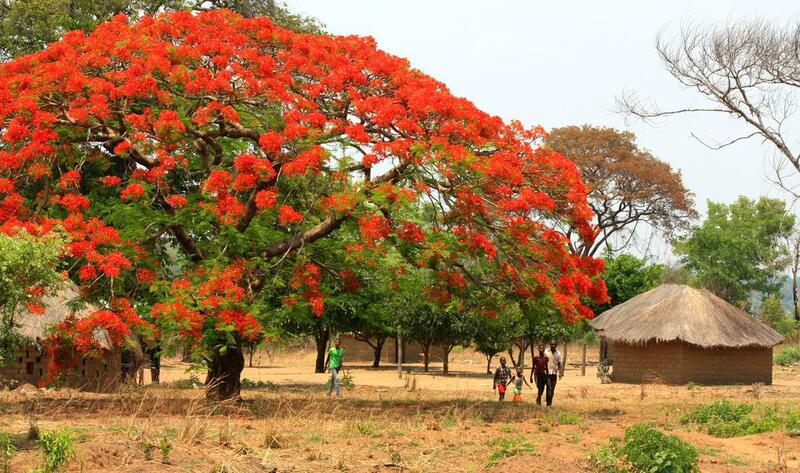 An impressive flamboyant tree just as we entered Loloma. 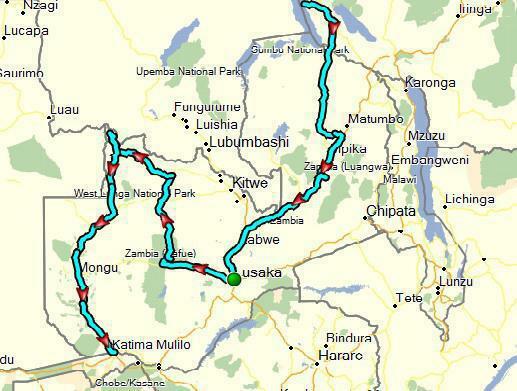 From Loloma we travelled west on smooth tar for about 100km before we turned off south onto gravel to Lukulu. This stretch of road was very slow. What was left of the original surface was so rocky that vehicles had created deep sandy tracks on either side of it. Vehicles made new tracks next to the rocky road. 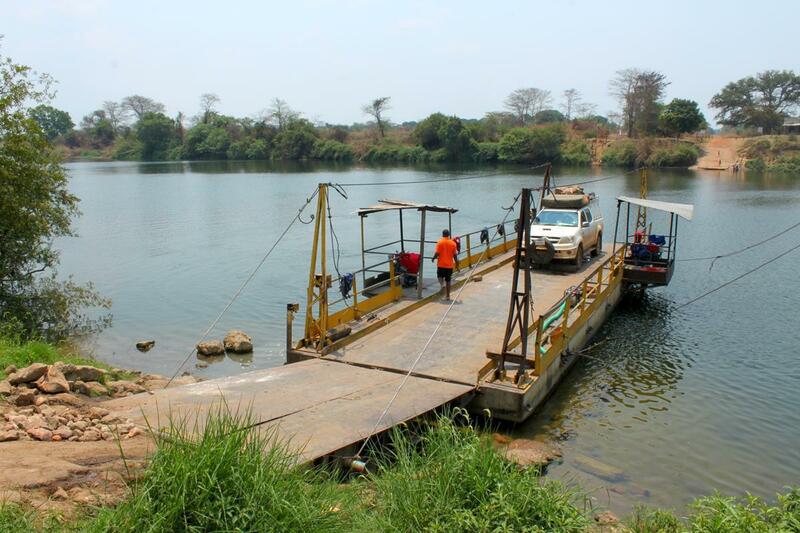 Crossing the Kabompo River by pontoon at Watopa on the way to Lukulu. 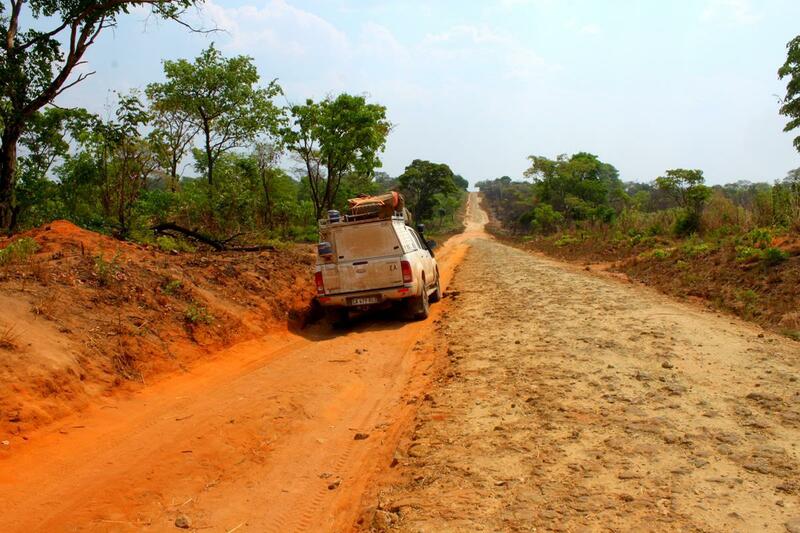 From Lukulu heading south to Mongu, we had to again choose between another long detour, first east on terrible gravel and then south-west on tar, or follow the direct route south, near the Zambezi. 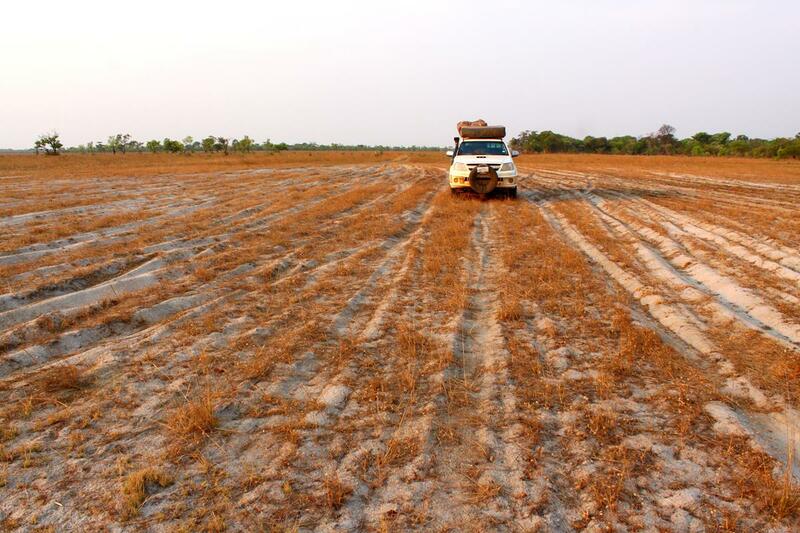 This would take us across the Barotse Flood Plain and Luena marshland on 100km of intermittent 4WD tracks. Opting for the latter, we discovered that the route consisted of mostly deep, loose sand, so we deflated the tyres and remained in low range for the total distance. Nevertheless it was very pleasant to traverse south so close to the river and enjoy the golden rays of the evening sun shining on the grasses. Beautiful afternoon light on the Barotse Flood Plain. 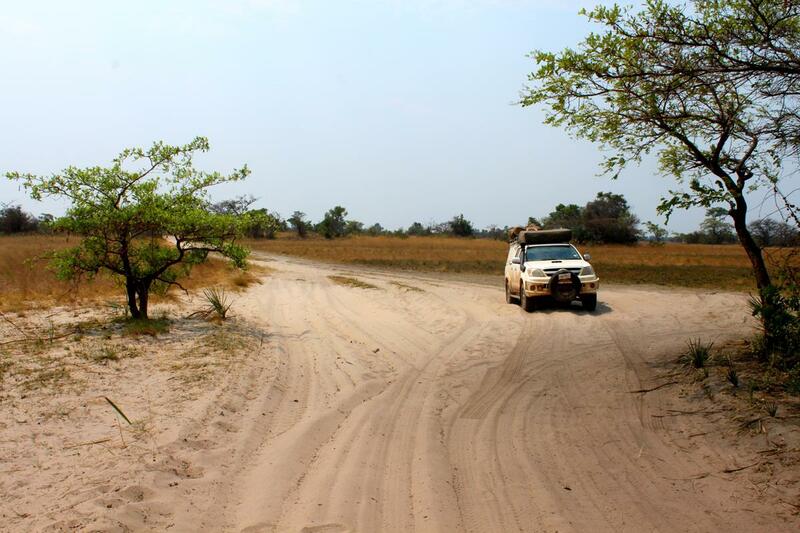 Realising that we still had a very long way to go to Mongu we began to look for a place to bushcamp, heading towards the Old Tiger Camp on the river. 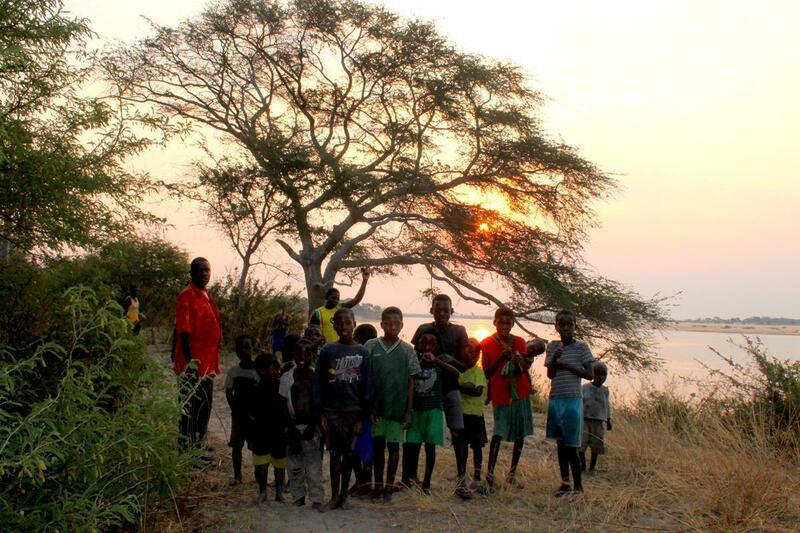 On the way we stopped at Ngulwana village where the headman’s son, Martin, invited us to camp under Acacia trees on the banks of the Zambezi just outside his village. 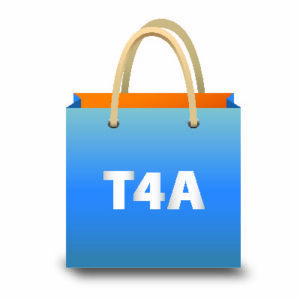 What the site lacked in facilities the community made up for in hospitality. The children of Ngulwana village were very curious about us. 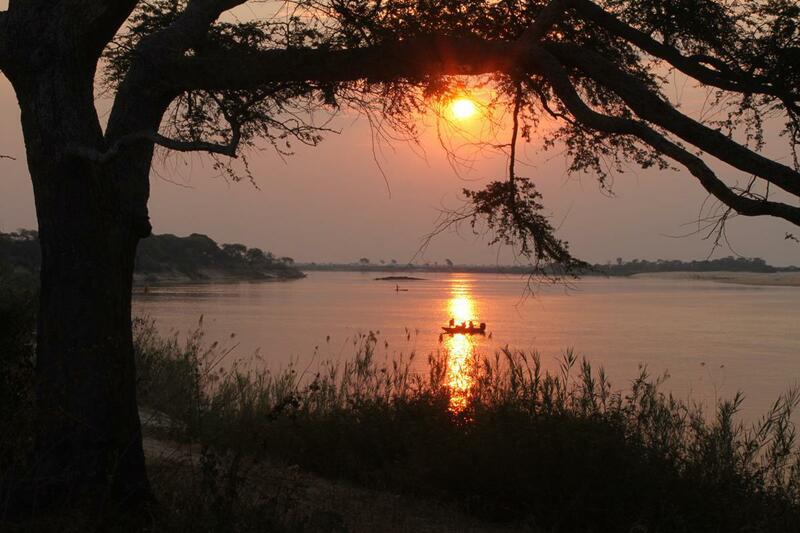 Sunset over the Zambezi at Ngulwana village camp. The next morning, before the sun accentuated the heat of the Zambezi, with lures, spinners and one live fish as tiger fish bait, we were paddled out on a mokoro, my first ride, sitting tight in an unstable canoe hollowed out of a tree trunk! 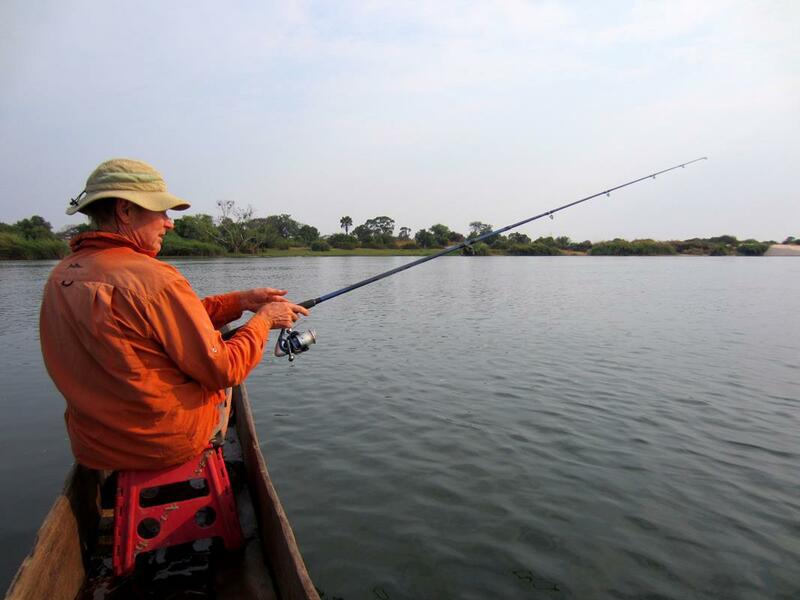 Fishing on the Zambezi in a mokoro. 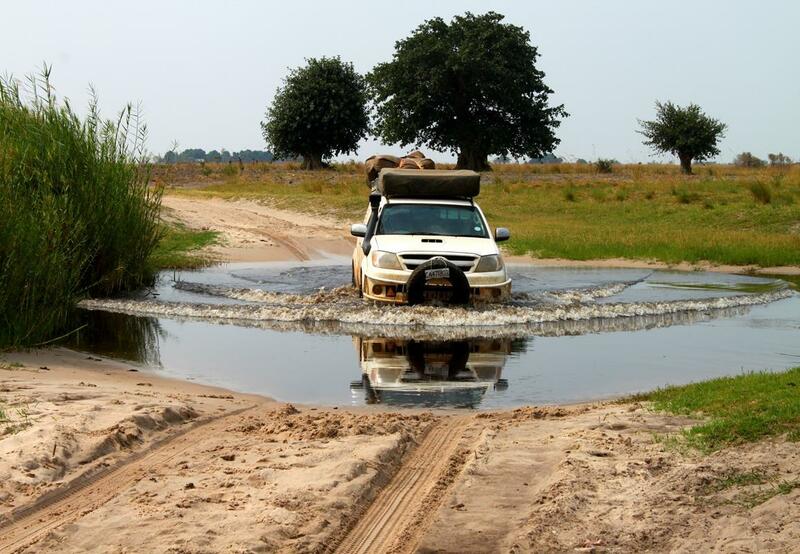 Leaving Ngulwana later than usual we still had 70km to drive to Limulungu, where the tar started 15km short of Mongu. First, however, we had to cross the Luena Flats; what we now know to be a challenging drive. At first the sand was so deep that multiple track options looped parallel to each other and as we progressed, the track disappeared into long grass hiding hardened, rough mud. Multiple tracks on the Luena Flats. It was clear that the flats would be virtually impassable during the wet season. Then, with about 55km to go, the road disappeared despite a T4A GPS track. We resorted to following footpaths, choosing those that went south. Deep sand required slow, low range driving. We resorted to asking villagers for directions to Limulungu, taking 4,5 hours to drive the 70km! I was extremely relieved when the road became clear again after Nangili, even though that particular track was not on T4A, and Pete was happy that the suspension had survived the hammering. Friendly villagers were keen to direct us. 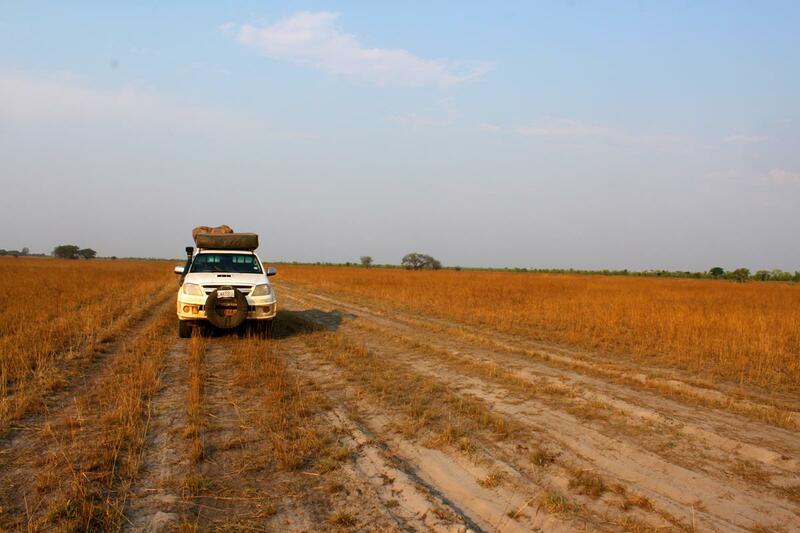 At Limulungu we were happy to drive onto tar again, passing though Mongu and taking the new tar road to the Namibian border at Sesheke. 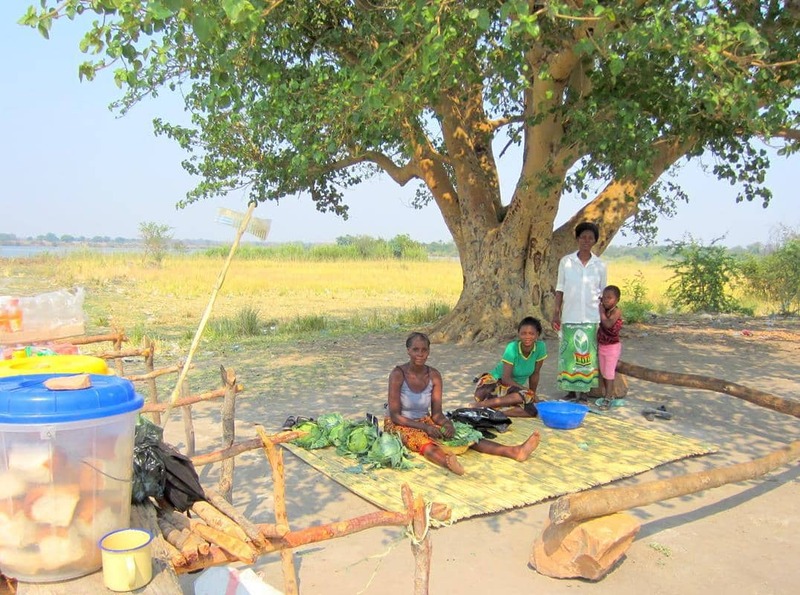 Women selling their produce at the Sikuka pontoon crossing near Sioma. 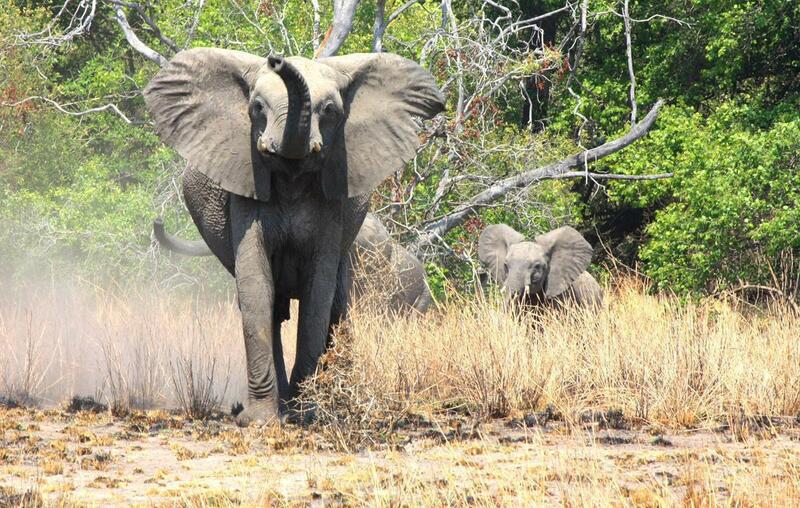 We had both been familiar with the southern part of Zambia and for me, the South Luangwa National Park. However, north-western Zambia with its greenery, unspoilt forests and the Zambezi gave us a whole new perspective on this beautiful country. So your fantastic trip is fast drawing to an end. Something to remember for all time. Klink my ons sal daai kant toe moet ry volgende keer! 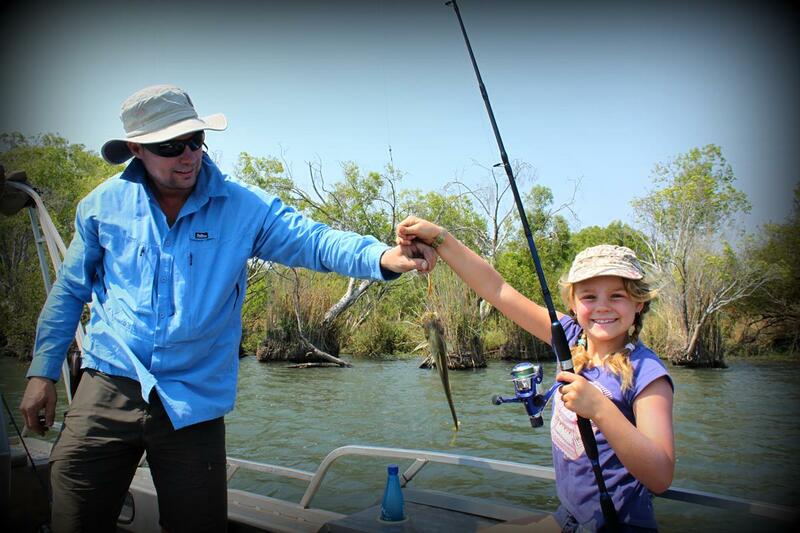 You are making me homesick, tiger fishing on the Zambesi !! !